All homeowners dream of the perfect fixture that will liven up certain areas of their home. Choosing the right ceiling fixture or ceiling fan takes careful research and precision. There is an abundance of factors to consider when choosing the right ceiling fixtures, and upon doing so, individuals should decide if they want a contemporary ceiling fan with lights, a hugger-style ceiling fan, or one with the ability to extend down from a significant height. 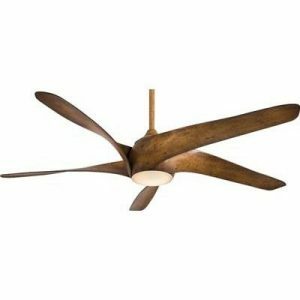 Minka Aire ceiling fans are one great brand option for you to consider. Ceiling fans can be a wonderful addition to the design of a room. They can cool off rooms on hot days and make your home more comfortable. Minka Aire fans are a fantastic choice if you are in the market to buy a ceiling fan. They come in multiple sizes, have a unique, innovative design, and Minke Aire even takes the time to make the glass shades beautiful. Along with all of these benefits, there is a warranty to protect you. Minka Aire fans are sure to leave you a satisfied customer.